Over 500 million people in sub-Saharan Africa (SSA) depend upon groundwater supplies. Within a generation, that will rise still further, close on to a billion. Groundwater that lies under rock, gravel, sand or silt can be extracted using wells and can help farming communities who are generally dependent on rain for crops and livelihoods, to access water when there is no rain. Groundwater resources are considered more resilient to climate variability and currently the volumes of this water being used are generally small compared with the average amount of rain in some parts of Africa. So groundwater can provide an important water resource to help adapt to changing climate and land use. However, in areas of Sub-Saharan Africa where rocks store a relatively small amount of water, during extended periods of low rainfall, groundwater supplies can fail. For this reason – together with an absence of historical record-keeping of borehole levels – it is unclear whether the planned development of groundwater resources to meet increases in demand is feasible in every part of sub-Saharan Africa. 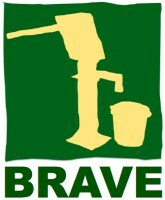 This month sees the launch of the BRAVE2 project with Reading University, (Building Understanding of Climate Variability into the Planning of Groundwater Supplies from Low Storage Aquifers) The aim of the initiative is to improve our knowledge of groundwater availability and management in Ghana and Burkina Faso. LYF has been tasked to work on the BRAVE project; engaging directly with rural smallholders in Bukina Faso as our local partners disseminate information that enables communities to use water in a sustainable way for future generations. The overarching aim of the project is to build the capacity of local people to manage groundwater (GW) resources in a sustainable and equitable manner, to build their livelihoods and to help 400,000 to become more resilient to drought, especially Ghanaian women and children. 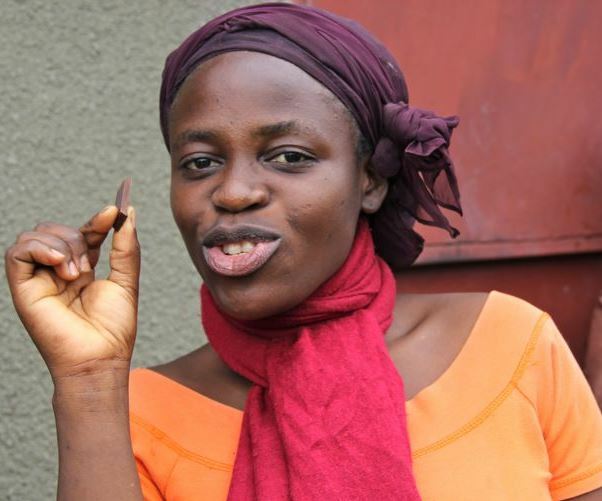 LYF’s role in the dissemination campaign is to utilize our Farmer Radio approach – linking into Farm Radio International through AfClix, the Lorna Young Foundation, and Practical Action West Africa. The campaigns will aim to share the new evidence-based tools for water governance with local decision makers and regional policy makers. One of the LYF’s most exciting, recent initiatives has been to develop ‘Farmer Radio’ – where we work with local smallholder organisations to produce radio programmes so that farmers can access crucial information about the particular crops they grow and to help support them to have objective and transparent information about the markets that they grow crops for. You can read more about our first Farmer Radio initiatives here. And, as always, with an LYF project, we’ve been keen to add value – so our Farmer Radio model not only provides information on crop quality and on markets, but also takes the opportunity to raise awareness about more sustainable farming practices, to improve food and nutrition and to raise awareness of HIV-Aids prevention. The tea markets in East Africa are experiencing a slump due to an increased green leaf production; as a result, tea factories in Tanzania are struggling. Many smallholders do not fully understand the impact of this on prices, so it is now more important than ever to create clear information and communication channels between factories and growers. Our Tanzanian farmer-radio project was created in response to these challenges. We work in Tanzinia with the RSTGA (Rungwe Smallholder Tea Growers Association), WATCO (Wakalima Tea Company) and TRIT (Tea Research Institute of Tanzania). 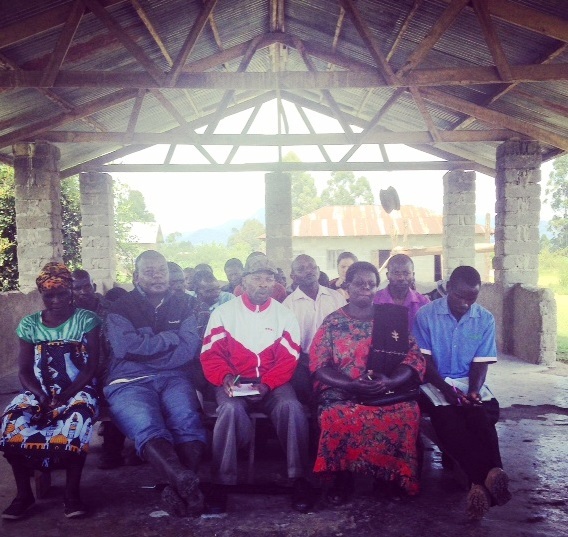 The project was launched in March 2014 and, to date, has received training visits from LYF staff and local partners – including Joseph Macharia (our Kenyan Farmer Radio lead) and Jasmine Bakula (our DRC based lead.) Our excellent partner-advisors from Ringtons Tea Company, Waitrose and the Wood Foundation Africa have also supported project. 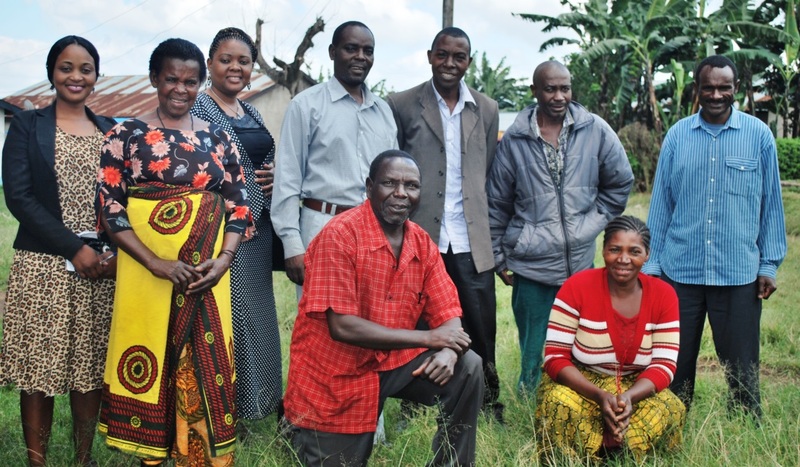 In order to replicate our successful approaches in Kenya and DRC, our team worked with two radio presenters from Tanzania’s ‘Kyela FM’ to produce training and content for 6 months’ of radio programmes. Farmer ‘listening’ groups were set up so that we could be provided with feedback on content, along with creating an SMS facility so that farmers could ‘text-in’ their questions for the show. The radio programme was named Chai ni Mali (the value of tea) and later on in 2015, Ian Agnew from the LYF undertook a follow-up visit in order to see how the project was progressing. Some of the challenges facing the project have been the lack of transport available to the broadcasters for them to carry-out regular interviews from the farmers and more encouragement is now needed for the listeners to text in their questions to the radio station. However – the general outlook was extremely positive. Ian met with a group of farmers who belong to the project’s ‘listening group’ at Mpuguso village; all were highly enthusiastic about the broadcasts and keen to provide us with new ideas. They appreciated the current level of technical detail available on growing tea during the broadcasts, but requested wider information on development and on growing other crops. It was also felt that more women farmers should be interviewed in order to encourage other women in the region to improve their crop cultivation and interest in farming. 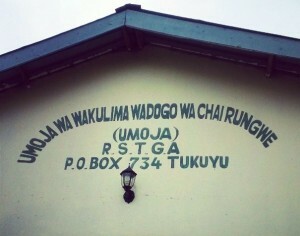 Following the success of the broadcasts, RSTGA have set up their own radio station ‘Chai FM’ which now broadcasts from a small studio at their offices in Tukuyu directly to 10,000 local smallholders but which also repeats the programmes and urges more farmers to provide feedback and content for future shows. 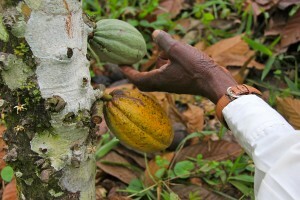 In our next blog post, we will share some exciting news about our new Farmer Radio project in Ghana! CAN YOU HELP THE LYF TO CONSOLIDATE OUR WORK WITH FARMER RADIO IN TANZANIA? PLEASE SPREAD THE WORD ABOUT OUR WORK AND DONATE HERE. Chai Ni Mali – The Value of Tea starts recording and interviewing tea farmers! In November 2014, Cristina Talens from the LYF in the UK and Jasmine Bakula, our fabulous radio presenter from the DRC travelled to Rungwe to record the first radio programmes of Chai Ni Mali – the latest LYF Farmer Radio venture. They were accompanied by Ringtons, the Wood Family Trust and Waitrose who wanted to see first hand how how the project was developing. For this project, Rungwe Smallholder Tea Growers Association (RSTGA) have partnered with Kyela FM, one of the most popular community radio stations in the region. The station was launched in 2010 as a grassroots community radio and is a designated partner of the BBC World Service for their coverage of local voting and elections. Kyela FM radio broadcasts from 5am to midnight with a potential audience of over 2 million in the 4 Tanzania regions of Mbeya, Iringa, Ruvuma, and the Northern part of Malawi where national radio and TV stations have limited reach. The radio station’s aim is to inspire pastoral development in agriculture and in health outreach to the community. The station has set itself up as ‘the voice of the voiceless’ offering its microphone to marginalised communities including people living in poverty, women and children groups, disabled people, and people living with HIV/AIDS. UNESCO continues to support the station by building the capacities of Kyela’s radio journalists, so that they can produce radio programmes of greater relevance and interest to listeners. It is, therefore, an ideal outlet for the tea radio extension programme. Two wonderful Kyela FM radio presenters have been appointed to work with us, namely, Sophia Kayombo and Masoud Mauldi. During the trip, the RSTGA successfully organised the first farmer field listening group with some 30 farmers from Mwakalele where the radio presenters took their first questions about tea and markets. The farmers welcomed a radio programme for tea in which they would be protagonists and would get to ask all their questions. We also took the opportunity to interview Linda Lisser from Ringtons and Amali Bunter from Waitrose to talk about what customers in the UK loved about Tanzanian tea. 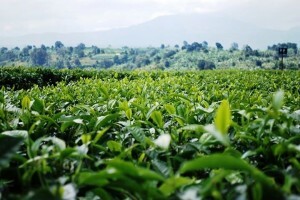 The programme is a service provided for tea farmers in the Rungwe area. ‘Farmers have important knowledge gaps on markets and some land management issues. However, listeners do have a lifetime of experience and knowledge in farming; this know-how will be built upon in a way that makes them feel proud of who they are and avoids being prescriptive. The focus will be on finding best practice, gathering interviews and information that the farmers can use, or applicable practices that potentially have high impact. After several years of directly delivering youth programmes in the most deprived communities the North of England, our intention is to significantly expand the reach and impact of our project by sharing our learning and equipping young leaders (aged 16 to 25) with the skills to deliver ethical enterprise learning and embed entrepreneurialism in community projects. We have applied to AVIVA Community Fund for funding to put local people in the lead by training 40 young people in Yorkshire and Greater Manchester to set up their own youth-led enterprise projects. Please help us in our funding application by voting for our projecct on the Aviva Community Fund website, using the link here. Do you have the skills, passion, contacts and drive to take lead and grow small dynamic charity? We are looking for a new Chairperson to lead our Board of Trustees and the recruitment of a new Director. There is more information below, or you can download the full role description here. The Lorna Young Foundation (LYF) is a charity that works to connect communities in order to trade knowledge, products and ideas that will make their lives better. It does this by devising and running unique programmes that bring together the many disconnected worlds that make up our societies – both in the UK and across the world. ‘Farmer Extension’ uses the medium of radio and text messaging to reach millions of poor smallholders in Africa with the information that they need in order to manage their crops effectively. The farmers set the questions and LYF provides answers from experts in the field. ‘Not Just a Trading Company’ offers young people and communities in some of the UK’s most deprived areas an opportunity to create their own social enterprise, linking where possible with small producers in developing countries. Our aim is to bring about change in the attitudes and systems that prevent communities across the globe from working together to improve their lives. Take the lead on fine-tuning our strategy and driving the team to deliver it. Armed with our impressive track record and far-reaching UK and international network, represent the organisation at key events and meetings, to bring in the investment, partnerships and support we need to scale up our tried and tested programmes as well as develop select new initiatives. Raise investment for and recruit our first Managing Director, who can permanently take on this leadership role. Hold the Board to account for the organisation’s mission and vision and ensure that the trustees fulfill their duties and responsibilities for effective governance of the organisation. 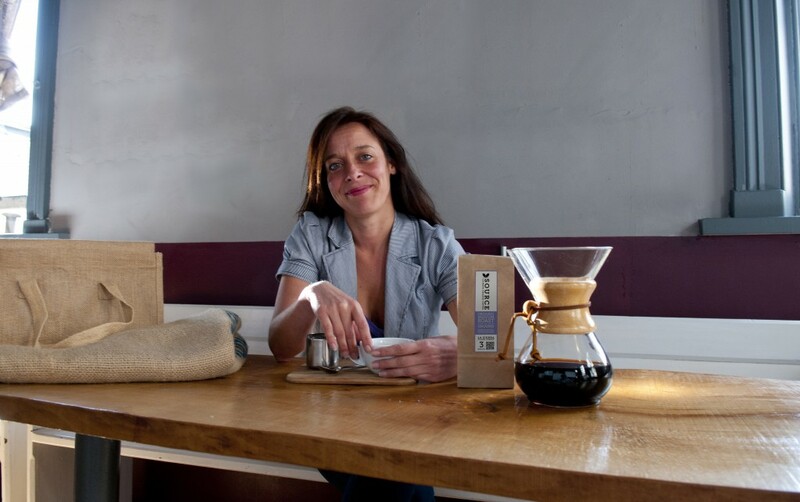 Cristina Talens was interviewed by the Harrogate Advertiser inYorkshire. 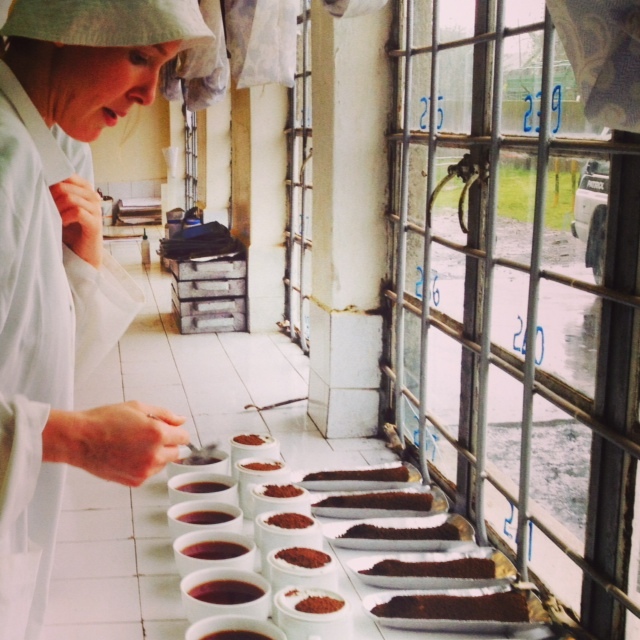 We produce single origin organic gourmet coffees from Cloud Forest communities in Africa and Latin America. 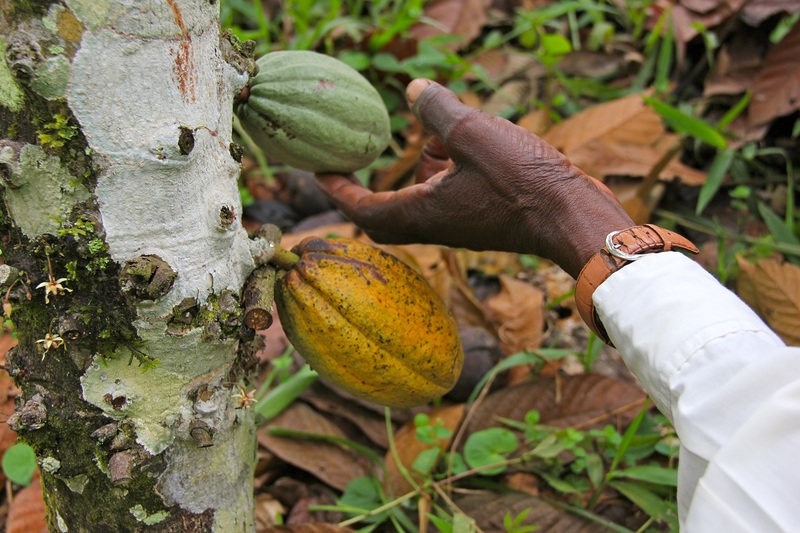 We only buy from communities that are working to address deforestation and mitigate climate change. By purchasing carbon credits each bag of coffee offsets 1kg of CO2 through the planting of new trees. 2. How did the company begin, and how has it grown? I was inspired to create Source Climate Change Coffee after hearing Professor Sir David King, give a speech on climate change at my younger sister’s graduation. Having then sourced my first 5kgs of coffee from Mexico, I was invited to meet Bill Clinton at the Eye on Earth Summit in Abu Dhabi and also to serve the coffee at the Rio+20 climate change summit. The delegates loved the coffee and that was it! Source Climate Change Coffee was born. In Harrogate, it is selling at Lengs, Fodder, Rasmus, Vanillis and the new Zinc café on John Street as well as other outlets across the UK. 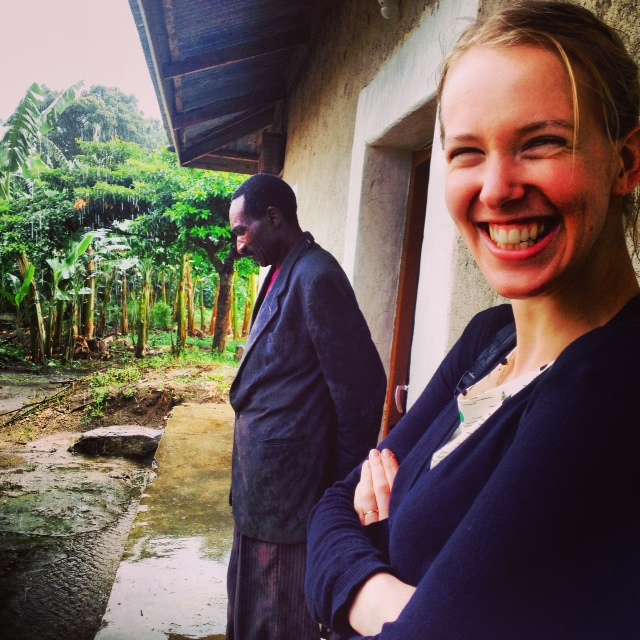 A second coffee from Mount Elgon in Uganda will be launched this autumn. Everything – with some occasional help from my friends (and those who can be bribed with a good cup of coffee). 4. What is your education and business background? I originally studied international business and languages at Leeds Metropolitan University. Although I loved the subject, I just felt that business was missing the human angle and so I started working for Anti-Slavery International on Labour and Human rights. About 10 years ago, I came back to Harrogate as ethical trade manager for Bettys & Taylors and this is where I learnt the coffee trade. 5. If you weren’t doing this, what would you be doing? Difficult question, because I’ve always followed my heart and my convictions… so I’ve never been bored or wished I could be doing something else. But if I could have been something else, I would have been a musician, I think. I still wish I could play the guitar well enough to play in a band! The belief that profit, quality, ethics and sustainability all go hand in hand. I really think that we need to change the way we do things as businesses. This is a time and an opportunity for companies and people who are creative in their ways of thinking. 7. What sets your company apart from the competition? conservation efforts at the cloud forest of origin. Our coffee allows customers to do their bit to address climate change. 8. What is the most difficult challenge your company has faced? And what challenges are you experiencing at the moment? As there are only so many cloud forest areas, my biggest challenge has been and is, finding high quality coffees, where the growers are undertaking reforestation and conservation activities. Balancing the speed of growth with the available funding is always a little tricky. 9. Have you got a five-year goal for the company? Not really, I simply want to establish the Source Climate Change Coffee brand as a producer of some of the best single origin coffees in the UK, whilst at the same time leading the sustainability agenda. I’d love for it to be in a big retailer, that also has strong sustainability values, to be able to get it out to a wider audience. 10. What one thing do you wish you had known when you started out in business? Setting up something totally new takes time! Manage your expectations and keep them realistic. 11. What excites you about business? That it can be used to great ends if it’s done well and people like what you do. I think it’s a great time for creative business thinkers that want to do something different. 12. What is your pet hate in business? The short sighted view of profits over everything else and at all costs. 13. What advice would you give to people just starting their careers? Do something that you are passionate about and you believe in. Work takes up most of your day, so make sure that you like what you do, no matter how weird and wonderful it may be and try to surround yourself with good people. Also, recognise that you need some practical experience on the job before anyone will take you seriously. 14. Who in business do you most admire, and why? I thought Anita Roddick was absolutely brilliant, totally fearless, driven and extremely creative. She was also the one that brought sustainability into the mainstream, and did it all whilst bringing up her children. 15. What moments of your career so far stand out? There are actually four moments that really stand out; The first time I visited the Ashaninka tribe in the Amazon and watched the forests generating the clouds; the day I had the first bag of Source Climate Change Coffee in my hands; hearing Professor Sir David King speak about the challenges of climate change in the 21st Century and; finally putting a bag of climate change coffee into his hands 5 years later. 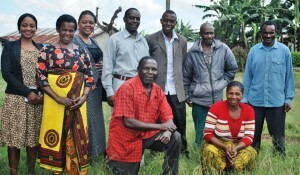 In March 2014, Lorna Young Foundation Project Manager Cristina Talens, Joseph Macharia and Ringtons’ Responsible Sourcing Manager spent a week in the Southern Highlands of Tanzania, working with staff from the Wakulima Tea Company (WATCO) and the Rungwe Smallholder Tea Growers’ Association (RSTGA), to set up a Smallholder Support Network radio-extension programme with them. This project, Funded primarily through the Waitrose Producer Support Fund with support from Ringtons, will use interactive radio programmes to provide farmers and their families with information and advice on issues such as good agricultural practices, sustainable land-management, markets and climate-change, as well as wider social issues affecting rural families, like HIV/AIDS. This will build upon work already done by RSTGA in creating radio production facilities. The week was highly valuable in allowing the team to gain a comprehensive understanding of the complex challenges involved in increasing volumes and quality of leaf supplied to WATCO, to establish good relationships with all relevant stakeholders, to complete the initial training and to create & trial the baseline questionnaire. 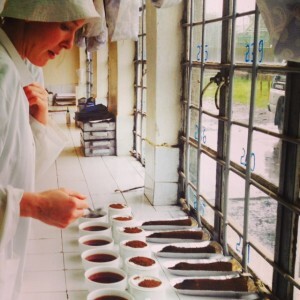 The Lorna Young Foundation’s strong understanding of the tea industry plus the wealth of experience in working with smallholders and launching radio-extension projects proved invaluable. This week highlighted one of the greatest advantages of The Lorna Young Foundation’s highly successful Smallholder Support Network radio-extension programme: the ease with which it can be adapted to a great variety of contexts, scales and budgets and still have a substantial impact. Once the smallholder group, extension officers and radio presenters have received the training, discovering what has worked in different contexts for different commodities, they take ownership of the radio programmes content and style. The time spent in Tanznaia was an extremely positive start to the project and we look forward with great anticipation to the progress made by RSTGA & WATCO and to our future visits to Tanzania. In the coming weeks, the questionnaire will be rolled out across the 108 villages where the smallholders that supply WATCO live and it is hoped that the first radio programmes will air in May 2014. Follow the progress of this project on this blog. One hundred and fifteen years after his death, the great-great-great granddaughter of Manchester tea merchant and Muslim convert, Robert ‘Reschid’ Stanley, is using tea to promote conversations to bring different cultures together. Inspired by the work of her ancestor, the LYF’s own Christina Longden and the LYF team, aim to launch a new tea blend, promoting cross-cultural dialogue in UK communities. 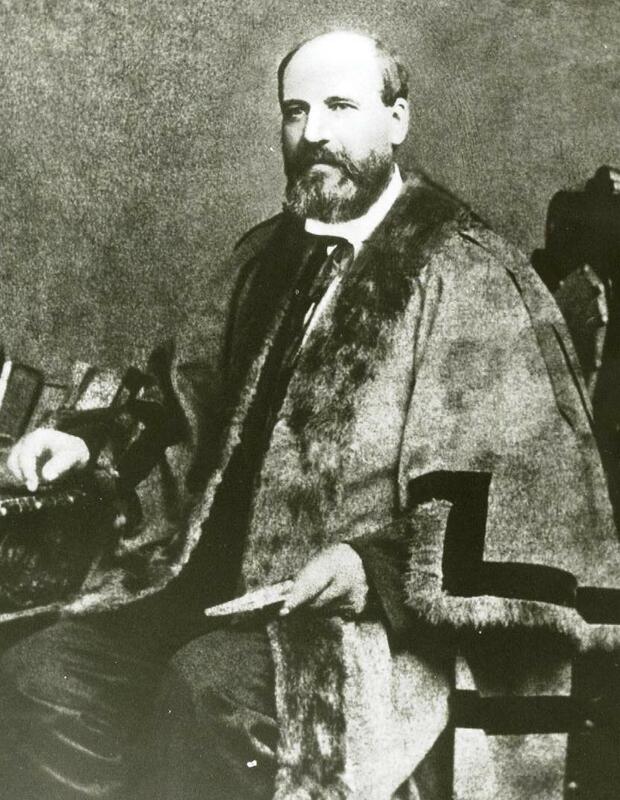 Born in 1828, Robert Stanley, a renowned tea merchant, grocer and Mayor of Stalybridge converted to Islam aged 69. As one of four converts in a Manchester-based community of 40 Muslims, Robert became a well-known and vocal advocate promoting a greater understanding of Islam across the UK and Vice-President of the Liverpool Muslim Institute (Britain’s 1st mosque). 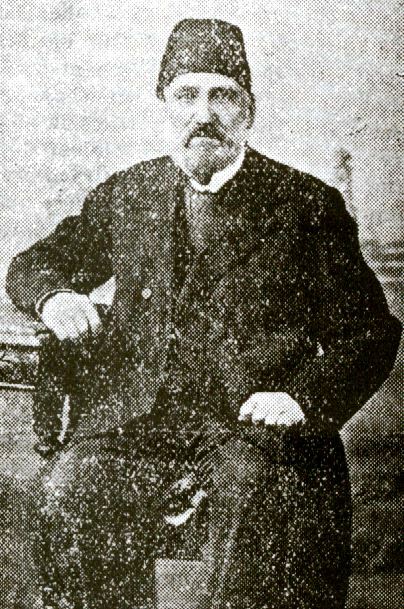 Prior to his conversion, Robert had avidly followed the problems taking place further east, particularly in Turkey with the Russo-Turkish war. Letters that he wrote on the subject were even raised at parliamentary level in Westminster. Later, Robert wrote to the Ottoman Caliphate recommending that they could rebuild manufacturing and trade in the country if they were to send young men to England to study cotton and wool manufacturing techniques in Lancashire and Yorkshire. Robert also suggested to the Caliph that it would be wise to have an authentic and fresh translation of the Qur’an so that English people could better understand the teachings of Islam – the only translations available at that time being made by Christians. Amazingly Christina’s brother, Steven, Robert’ great x 3 grandson also converted to Islam – ten years before he was even aware of this amazing story and his familial connection to it! Now, 115 years on, Robert Reschid’s great x 3 granddaughter, Christina, Director of the Lorna Young Foundation and Not Just a Trading Company is pleased to see a tea blend that remembers her remarkable ancestor. Through Not Just a Trading Company (NJaTC), Christina, the team, and the youth enterprise groups, are importing direct from the growers a range of Fair Trade tea, coffee, chocolate and other ethical products that the youth enterprise groups market to learn business skills and generate income. NJaTC is about to launch a new product – the Robert Reschid tea blend, with the aim of sending this tea out to various faith and community organisations for them to invite each other for tea and conversation. We hope to raise £3,000 to make and send out 1,000 packs of tea to communities all over the UK, to promote cross-cultural dialogue.” You can support this project by donating here. Our most recent Trustee, Julie Harrington, joined the LYF after spending several months supporting us through the Small Charities Coalition Skills Sharing Programme. Here is an extract of an interview with Julie by the SCC. 4. How long did your match last? Ongoing – taken up my first ever trustee role with the charity! 5. Please describe your match experience and how it worked? I have spent time with two directors, Ian and Christine and the small team at LYF to talk through the marketing of the foundation and clarifying the core fundraising proposition of the charity. We have done this via meetings, emails, sharing resources. 6. What did you learn both personally and professionally from the match? It has been an excellent opportunity to get involved with the charity at a strategic level, to act as a soundboard for the directors about future growth plans and act as a kind of filter for ideas and strategy. I had no idea of the existence of the charity here in my home town and was delighted to learn all about LYF and its growing impact in the UK and overseas. After working as a fundraiser for 24 years, I have recently accepted a role as Trustee for the LYF – my first time ever as a Trustee. I am hoping I can continue to contribute for the longer term in this capacity and help LYF to expand. They are an excellently competent team already – I just hope to offer additional time and resources that can help them move to another, more sustainable level. 7. What would you recommend about the matching service to other would-be supporters? I have been privileged to work with some of the masters of fundraising over the years – organisations and individuals – and as you gather experience in the profession, this in itself becomes invaluable. The school of hard knocks counts for a lot! So Small Charities Coalition’s mentoring scheme is an excellent vehicle to be able to give back to the profession in a targeted way. Small charities are always resource limited and so saving them from going through a few of those hard knocks and expanding their resources with a bit of your time and your experience can be a great boost. But as a supporter, you also continue to learn. You gain mentoring skills and sometimes practice a mini kind of consultancy experience too. It’s fascinating to be involved from a purely interested party point of view too – none of the pressure of being an employee nor the responsibility as a Trustee. It has been a real happy, comfortable medium for me. I first became aware of the Small Charities Coalition at a stand at the Institute of Fundraising and instantly thought it a cracking idea, a way to strengthen the fundraising profession and the sector. This was 2009 and my first charity match (Bone Cancer Research in Leeds) was active for more than 18 months. In fact we still meet up for updates – it’s become a lovely habit. I recently helped them fill a vacancy by introducing them to an eminently suitable candidate who got the job – so I suppose when it goes well, they become part of your wider network and the relationship is ongoing.